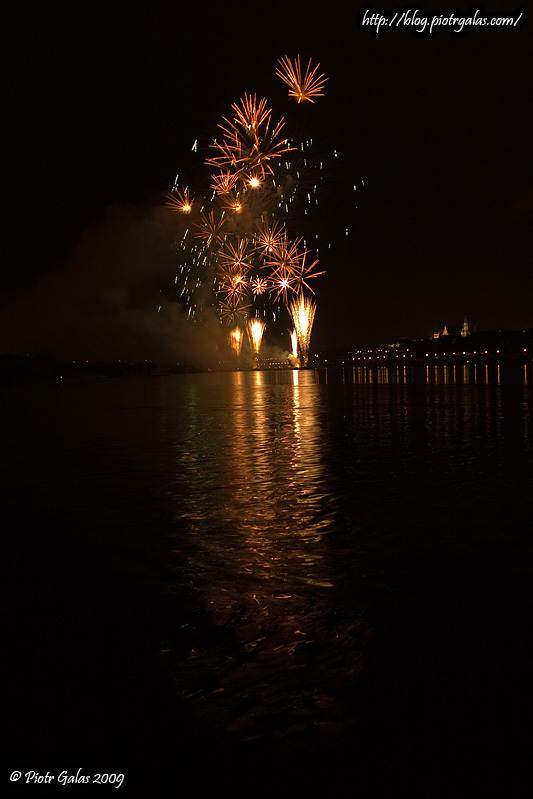 Like in few last years, just the same in current one, I went at Wis?a river to take few shots of fireworks for Wianki event. "Wianki (Wreaths, in English) is a cyclical cultural event, taking place annually in Kraków at the bend of Wis?a river, near the Wawel hill." All is right except - it takes place annyally in Warsaw and near the Skarpa at Nowe Miasto.